What if I told you that there is only one thing you should do, just one advice you should follow, to live the life you love to live from the bottom of your heart? You don’t need a promotion, you don’t need a big house, you don’t need to find yourself or become someone you don’t want to become. You are enough by yourself. And the thing you are supposed to do sounds really simple, and a little cliche in fact, but we will get into the real meaning of it. What I am talking about is to follow your heart. This is an advice everyone seems to give, and most don’t really understand what it really means. Now we will explain what following your heart really means and gives. You are enough to do this, in fact, you were always enough to start doing this. 1. You start to learn new exciting things. When you start listening to your heart you will be driven to try and do things you always wanted to do but you didn’t do because you were busy following your regular daily pattern. These things can be as simple as listening to a new genre of music you’ll fall in love with. 2. You let go of the past. As you follow your heart you are almost forced to move forward with your so called narrative. This means that you will need to let go of things that no longer serve you to make space for things that your heart wants you to have. 3. You discover new passions. The path of your heart is abstract. The only clues you have of where to go is that inner pull toward something you love and your passions. As you follow your passions new ones will be unlocked. Starting to write might lead you to start painting or playing an instrument. 4. You remove things that are toxic from your life. When you follow your heart you leave no space for toxicity. The path of love washes away any toxicity from your life. Toxic habits become easier to get rid of and toxic people suddenly start to avoid you because they can’t handle the shine of your heart. 5. You meet new people who resonate with your truth. As you follow your own truth and express it through your actions people who resonate on the same level will be attracted to you. They will come from nowhere and become your friends, supporters and followers who help you on your journey. 6. You heal inner wounds. The pain body and the inner trauma you keep carrying with you will start to weigh more and more. This is because your subconscious mind wants you to face it and heal it as it knows this is the only thing that truly prevents your from doing what your heart wants. 7. You slowly start to create a healthy lifestyle. As you deal with your inner world the results will be manifested into the outer world. As you heal your inner world the same will happen with your outer world. You will create healthier environment and do more things that keep you energized and healthy. We feel the greatest regret when we do not follow our heart. When we know that we love to do something and we find excuses of why not to do it, but discover we should have done it. Following your heart means you proactively do what you love, there is no regret in this. As you proactively go for what your really love you will need to face fears. In those moments when you are courageous enough to be afraid and still go for what you love you will forgive yourself for the things you keep blaming yourself. 10. You start to be kind to yourself. Following your heart is not always easy. Even though it means you go for the things you love sometimes it will be really hard. And you will be on your own. This will teach you to be kind to yourself because yourself is all you are going to have. 11. You start to be more confident. As you push forward and collect reference points of moments you faced your fears, of moments when it was really hard but you were strong enough to not back down, your self esteem will start growing and your default state of confidence will increase. 12. You become a happier person. Because you are not wasting your time with irrelevant things, activities that drain your energy and you care nothing about, you are surrounded only by meaningful things and you have a sense of purpose gives you fulfillment. This will make you a happier person. 13. You start to love the world and everyone in it. You can’t follow your heart with hate. You need to open yourself to love in order to sense more of what you truly love. As you open your heart you will see the love in the world around you. You will see the beauty hiding in plain sight not many people can see. 14. You are filled with more energy. The sole sense of doing something you really love doing is filling you with energy. You have probably wondered how you can do something you really love for 8 hours and feel energized while doing something for 40 minutes and you feel completely drained. As you do more of what you love you are also spreading love all around you. As you follow your heart and fill up with energy and positivity you radiate this positivity to every person you interact with. 16. You are more courageous to face your fears. As we said, following your heart is not always easy. There are moments when you need to face your fears. However, as you gather courage to do this, you are strengthening yourself to tackle more of them and you are freeing yourself from their shackles. 17. You don’t see obstacles but lessons. It’s normal to fail sometimes. But following your heart is not about success or failure. It’s a reward within itself. You would much rather do the things you love and fail at them than not do them at all. And as you face obstacles lovingly, you will see the lessons they hold. 18. You start to give. It is said you need to fill your own cup first so you can fill others’ and as you follow your heart your cup is filled with love. It’s filled so much that it overflows. You can’t help but to give and share your love. And as much as you do this as more you fill yourself with love. 19. You are more lighthearted. It’s not that you are without a single care. In fact, when you follow your heart you care even more, however, you care about less things. You care about the things that you should truly care about and this relieves you from all the insignificant heaviness of the world. 20. You become a stronger person. As you face the hardships following you heart brings you grow as a person. The inner journey actually reflects outside and you are led to face the inner obstacles that keep you from growing. Doing this, you start shedding your layers and you become stronger. 21. You learn powerful spiritual truths. The inner journey is different for everyone. However, the direction we all go towards in our inner journey is getting closer to our heart. The closer you get the more spiritual truths you discover and learn. 22. You discover your true calling. Nobody knows exactly what their purpose is. And even if you know, your purpose grows, changes and evolves. As you follow your heart you discover more clues and pieces of your true calling. It’s like your purpose slowly unfolds in front of you and you sense its essence. 23. You discover what you really love. The biggest problem is not that you have no idea what you really love, it’s that you don’t take action to go for the things you kinda love. Nobody knows what they really love, at first. However, as you take action you get a sense of the things that you really, really love. 24. You trust your intuition more. Following your heart is like working out for your intuition. At first, you might know what’s your first step, but after your first step, following you heart is mainly directed by your intuition. When you don’t know where to go and you listen your intuition, you strengthen it. A mind without a task and direction is a mind that will overthink and worry. That’s a result of our evolution and something that helped us evolve. Following your heart will obsess your mind. It will keep it focused on things you really love doing and you’ll stop overthinking. There is something within all of us waiting to be created. Only you can create this thing and make it real. Following your heart makes you feel the urge to create. This urge makes you create stuff, and with each thing you create you are closer to creating your masterpiece. 27. You inspire others to become a better version. People who follow their hearts might seem almost superhuman to others, because of their levels of energy, commitment and action taking. This glimpse of the superhuman potential inspires others to take at least one step towards becoming the best versions of themselves. 28. You become the best version of yourself. We are born perfect, with complete worthiness to grow through our true potential. 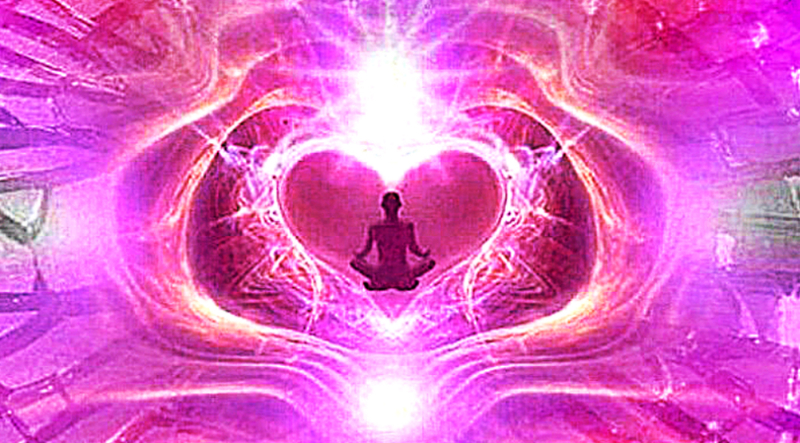 As you follow your heart you are getting closer to this truth and your essence. As you become whole and rediscover your worthiness you start becoming your best self. 29. You discover your true power. To follow your heart means you know of something bigger than everything. It’s greater than the whole world. All fear, doubt, weakness bows in front of it, it’s the strongest force you know. When you sense this force within you, you glimpse your true power. 30. You find the most beautiful treasure. They say the cave you most fear to enter holds your greatest treasure. Following your heart will make you enter this cave, but you will face your fear willingly. And this courageous act will give you a treasure so beautiful that imagination cannot explain.